Yes, the age is digital and yes, everybody is walking around with smartphones that can take notes as well. However, if you look around you’ll also see successful, thriving markets still using good old fashioned pens. 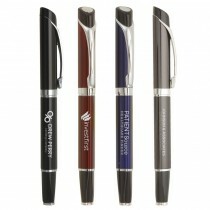 So many pen manufacturers are coming up with writing instruments that put the pleasure back in putting words to paper. 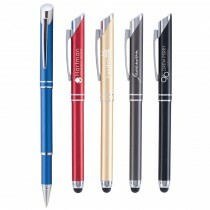 So, wouldn’t it be a wise decision for you to go with pens and writing instruments as promotional items and corporate gifts? What is a promotional conference pen? • They’re convenient to carry around. • They’ll never go out of style. • They’re not subject to shelf life. 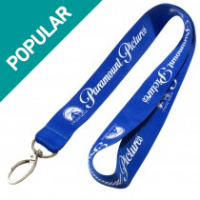 • They can be personalized with your business name, logo, and more. 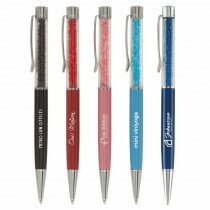 • Conference pens provide you with infinite possibilities of choice as well. 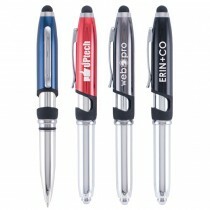 For these reasons and more, ordering customized pens in bulk can be very lucrative. 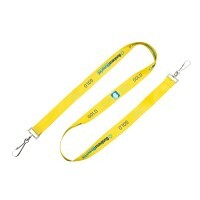 You can print them with the name of your business and use them generously as ‘brand ambassadors’. • Markers – permanent or white board markers. • Ink pens, ballpoint pens, rollerball pens, and so on. You can also look for some unique writing instruments such as tri-highlighters. Tri-highlighters are triangular shaped products with three chiseled tips that allow the user to highlight documents in three different colors. Now, isn’t this a unique product? 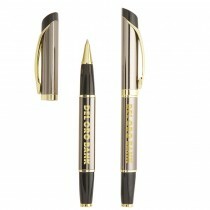 You could also look for a pen that brings together a highlighter and a ballpoint pen so business executives find it easy to use for multiple purposes. Another fabulously useful product is a pen that brings together sticky notes and a highlighter. The barrel contains small sticky notes! 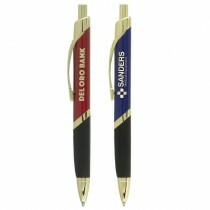 A pen may be a small object, but it’s one of the best ways that you can promote your brand and/or business on a wide scale. The surface of a tri-highlighter may offer you a rather large space to print your brand name, (etc.). 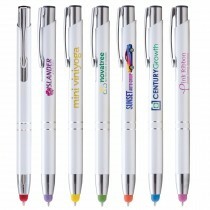 However, the round or flat body of other pens and markers can also carry the name of your business both clearly, and beautifully. It’s always good to find out if the online seller has a minimum order requirement because then you can get some very competitive prices for your orders or purchases. • The size or dimensions of the pens. • Details of the colors they carry. • Design and printing services. • Costs of the same as well. 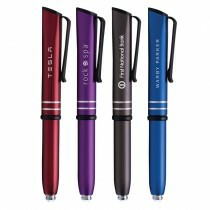 Some conference pens are available in different colors and/or finishes. 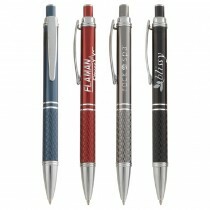 A company name, business name, logo and/or phone number can be printed on each pen in your order. 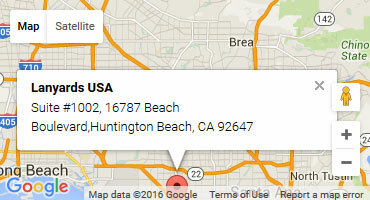 You’ll even be able to customize the style and color scheme of your company name and logo. Although we have the lowest prices available, the quality of our products will never suffer for it. 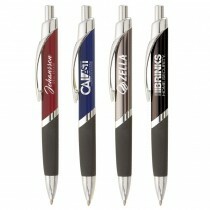 Contact us, we have the lowest priced promotional conference pens in the USA. 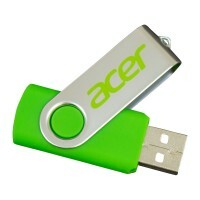 We provide a price beat guarantee with all our products. This means that we will lower our prices if you find the same product somewhere else at a lower price. Our designers will send you a virtual sample of your order before it goes into production. This helps to ensure you that you won’t get stuck with an order you’re not happy with. 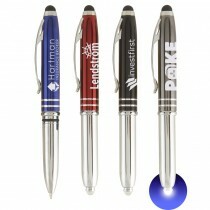 Promotional conference pens are also great for people running events or expos on a tight deadline. We also have rush delivery services that are available in a time crunch, but please keep in mind, conditions may apply. If you have an idea of what you’d like your order to look like, we can send you a quote within 30 minutes of receiving the online quote form.